This bike has exceeding our expectations by a long run! We are in love and it brings so much laughter and good times in our family! Me and my son Fredrik luv ur bike! 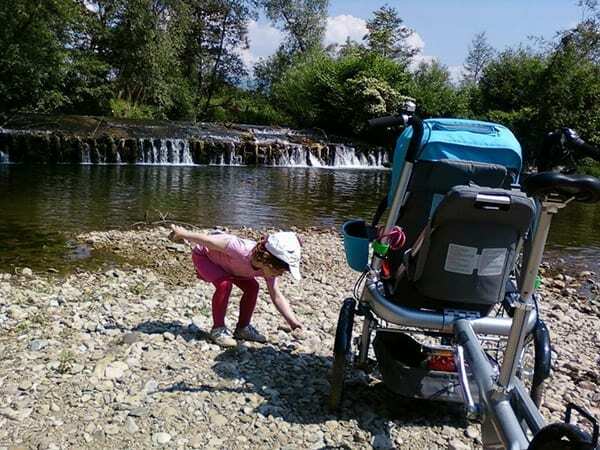 Sharing our Summer 2015 memories with Little Solar and Taga Bike! Love from Barcelona. 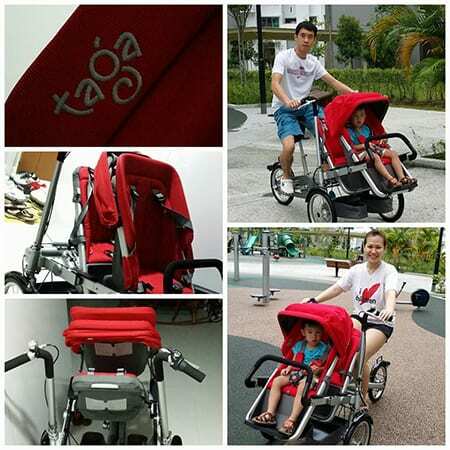 We use our Taga to bring our 2 kids to tour around the Marina Bay Area in Singapore! They love it a lot and so do we! Really an awesome machine! 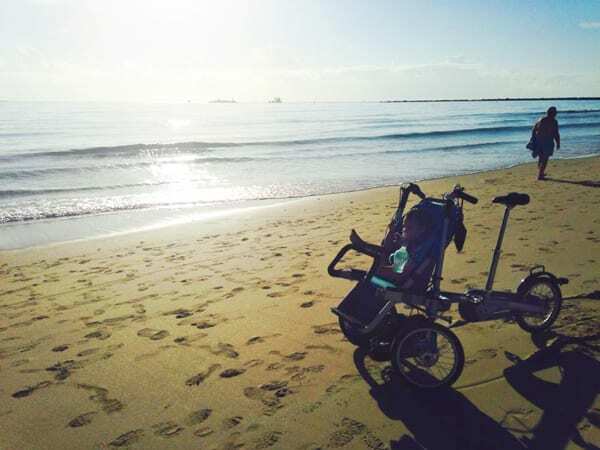 A beautiful Sunday morning ride on my TAGA with my 3 month old girl! 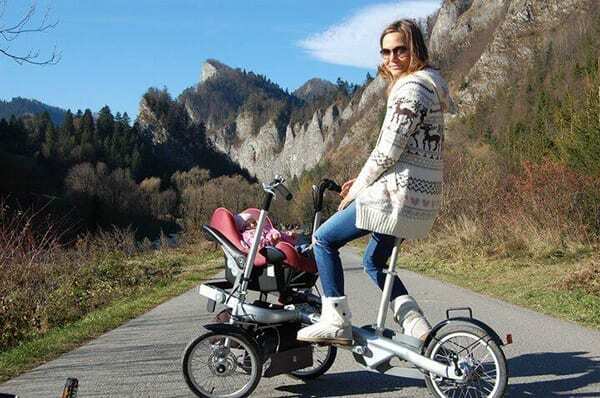 Having a new baby and not being able to ride bike was killing me! Within minutes of first seeing the TAGA I was typing in my credit card numbers and anxiously awaiting delivery! Worth every penny! Love my TAGA! My [wife’s] Taga bahaved excellent, exceeding my own expectations! Carolina really enjoyed the 5-hour ride and we certainly were the TOP attraction of the ride! 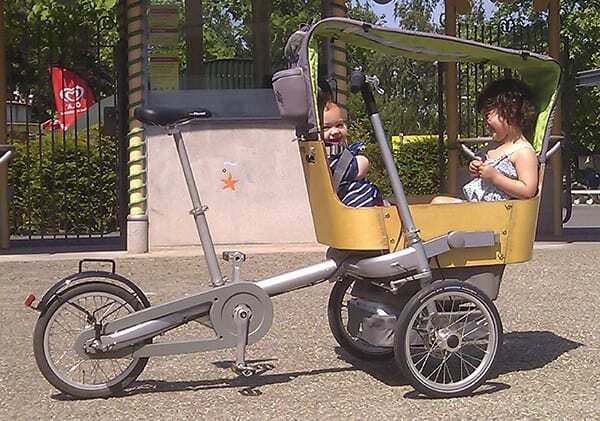 Tried out the @tagabikes #cargobike double bamboo seater #bike today and kids LOVED it, giggling and talking and eating all the way to the park. Great exercise for me too! We LOVE our Taga! Here we are on a beautiful Independence Day ride along the water. We started riding in June and have logged over 150 miles already. Taga is so much fun! 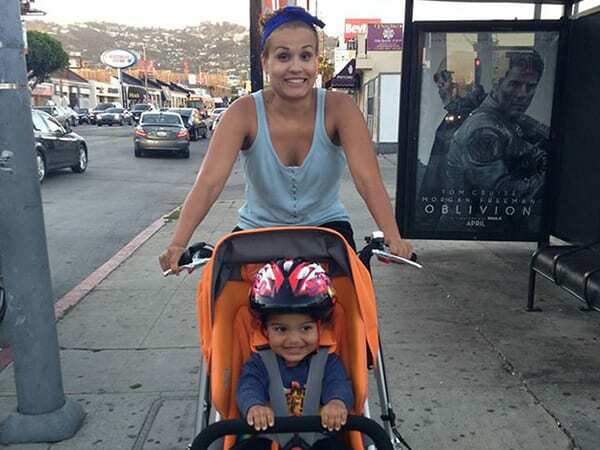 For my first Mother’s Day all I wanted to do was ride a bike with my son. I had always dreamed of owning a taga. A few weeks before Mothers day, my husband took us all out and we rented a taga and cruised the strand in Santa Monica. My heart was set. I told my husband I would explode if I did not get a taga of my own. On Mother’s day this photo was in my Mothers Day Card letting me know my very own taga was coming soon and not to “explode”. 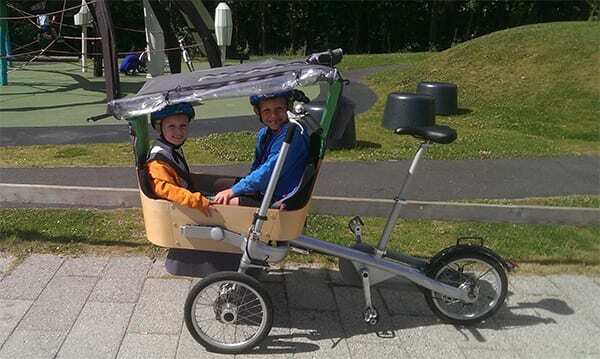 My taga arrived today and I had a “blast” riding it with my son. I LOVE MY TAGA! 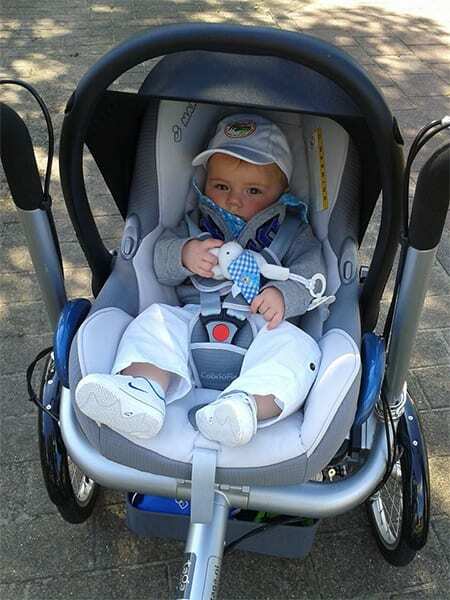 I adore anything that makes it easier to get out and about with babies and small children. 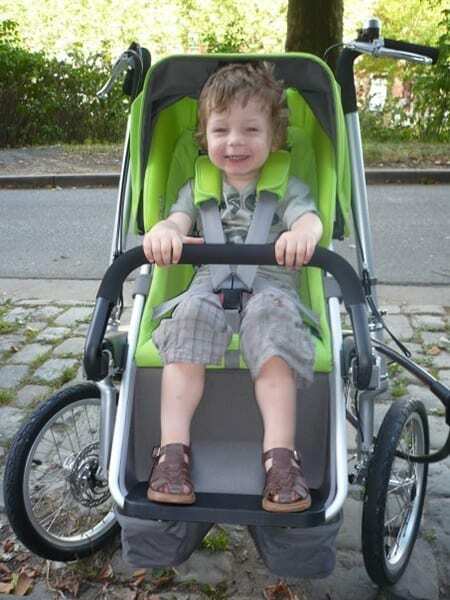 The bike-to-stroller convertible wonder Taga is a piece of engineering brilliance that does exactly that! Lots of fun last weekend. 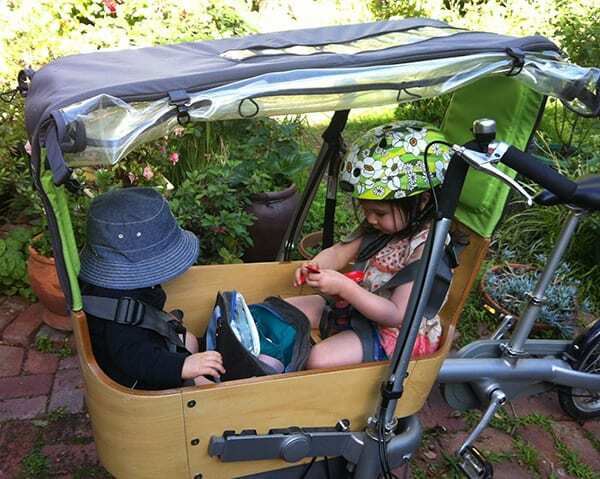 First time together in the wooden double seat. Put in a good solid 60 KM on the Tagas in the last two days around Berlin, and loving it! 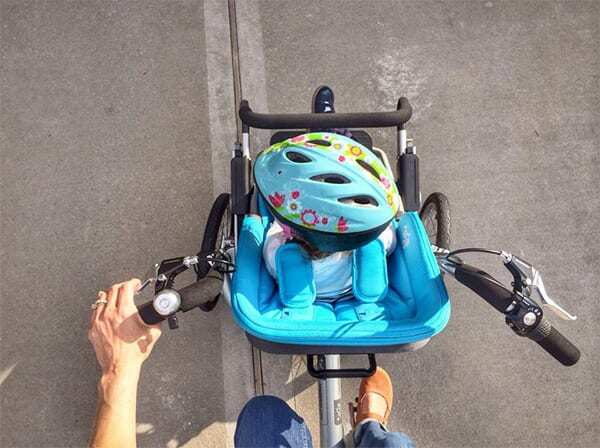 We have twin 1-year-olds and a 2-year-old, and we don’t need a car at all, we just use the Tagas…Works like a charm, and it’s faster and less stressful than navigating rush-hour traffic in a car. Thanks Taga! 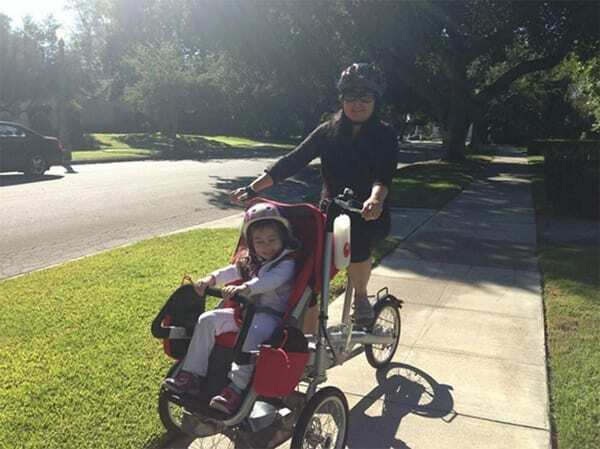 Our evening routine includes a bike ride on our taga bike! We LOVE it! Riding through the tulip fields in the Netherlands was beautiful. Taga makes it a wonderful experience for both of us! The best thing I ever got is my New Taga!!! I Love it, my baby girl loves it and it’s a huge head turner!!!!!! For those of you who want to test drive… trust me, this product delivers! I got one for Mother’s Day and it is the BEST gift I’ve ever gotten. I love it, my son loves it, and everyone that sees it loves it. It is a great investment and well worth the price. 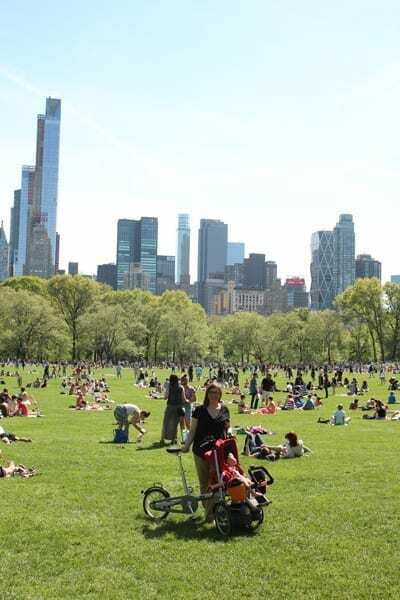 And when your kids are too big for it, you can get a basket…..and still enjoy! 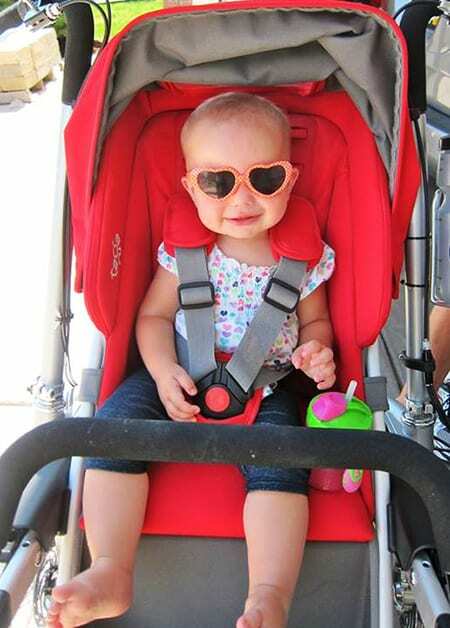 We’re having a cool summer with our #Taga bike! Just took it on vacation where we biked the Toronto Islands! In general I love my Taga. 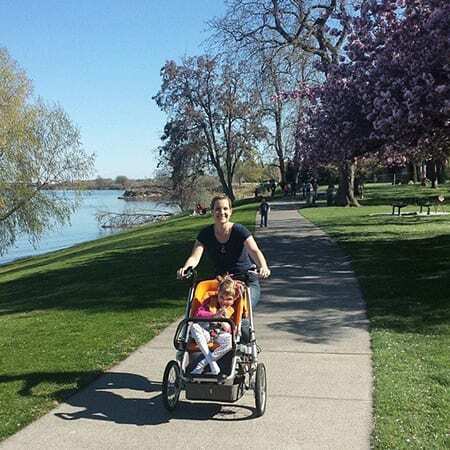 It allows me to get in shape and exercise while hanging out with my child and enjoying the beautiful weather (perfect for the spring and summer!) and I LOVE that it grows with my family. 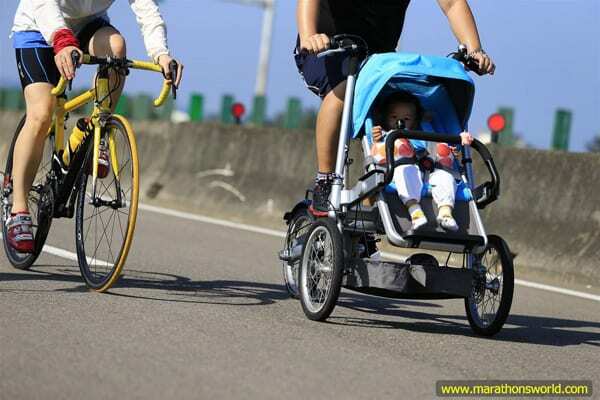 Same bike, same outfit… Picture taken 3 years apart, when my kids were the exact same age-to the day! I love my Taga! This is in Dallas TX, btw. 2010 on the left and 2013 on the right… Noa is on the left and Lia is on the right… Both were 8 months old in the photos. Just wanted to share how excited we both are to have this ride!! 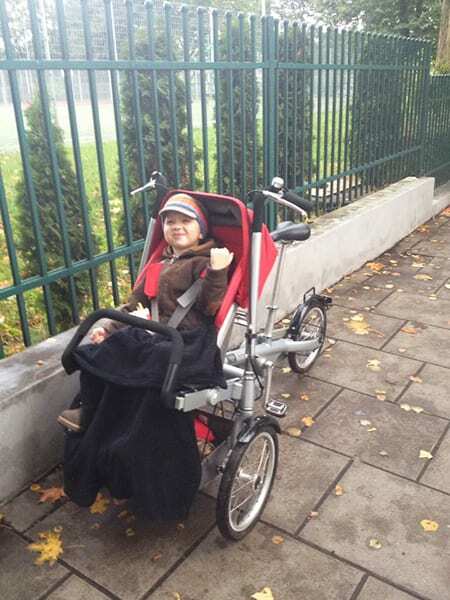 Here is a setup so that my oldest can help pedal…It is very stable on the Taga. 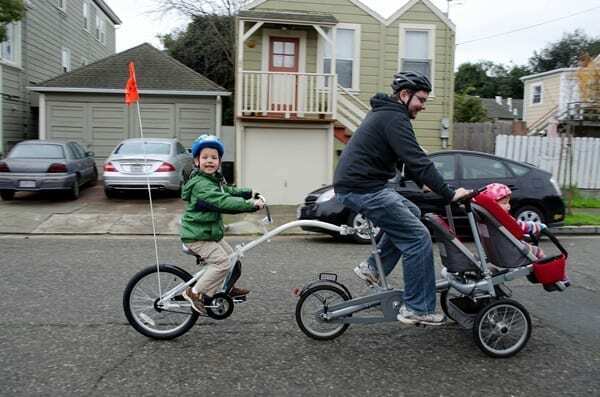 I also use the trailer bike on a standard road bike and it is much trickier since you have to make sure you don’t tip. On the Taga I don’t worry about it tipping. I’ve been using this bike for an hour a day about four days a week for a few months now. This bike is amazing. 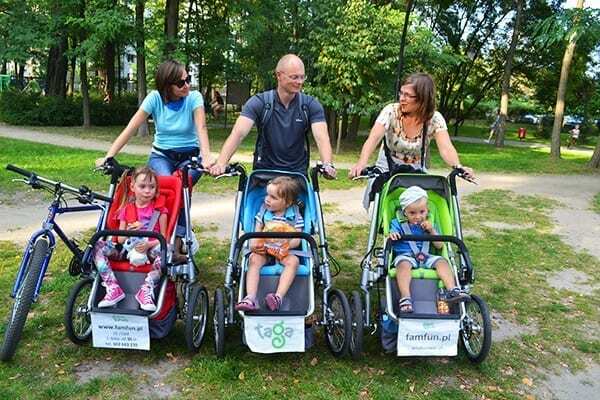 It is SUCH an amazing invention for people like me, who don’t have a car because of the environment and also because of the price and upkeep. 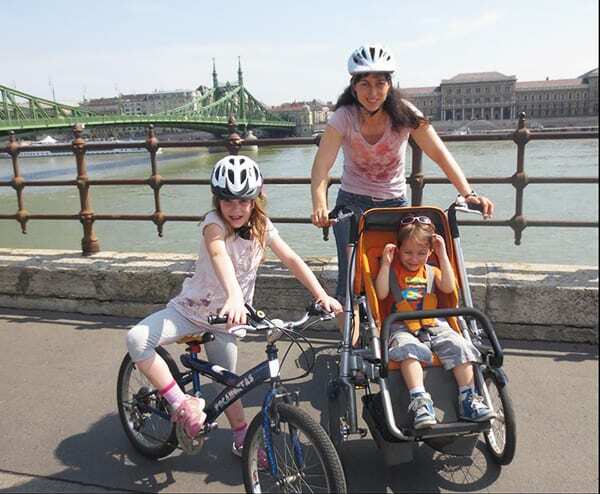 I use this bike to get my kids to their babysitter (after which I take a regular bike to college), and it so useful. 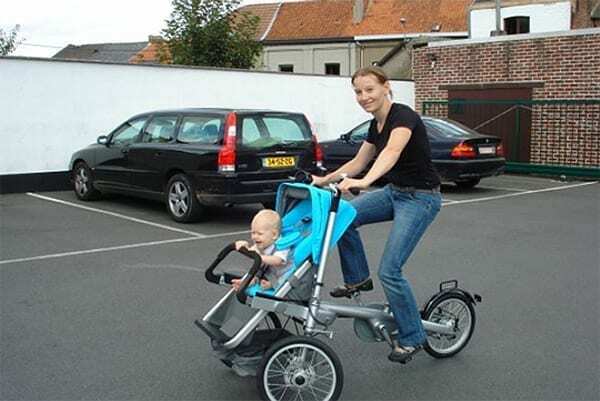 The steering is different than a regular bike. It took me about a day to get used to it. Listen to the instructions and DON’T ride it for the first time with your kids in it! 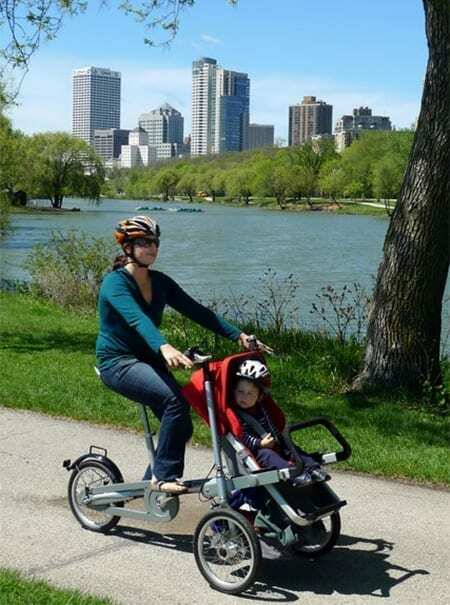 The bike is pretty sensitive to turns, and when you ride on a slope, the bike will turn in the direction of the slope, so when you’re riding past a sloping driveway, you have to keep your handles straight. Anyway. This bike was not difficult for even the technically-challenged me to assemble, and it is VERY STURDY. I feel very secure biking with this. It is also surprisingly smooth and fast for something so big and heavy. It’s not the lightest thing in the world to bike, but it really is very smooth and not as heavy as you would think it is based on appearance. The rain covers are great. I have two seats, and both my kids are covered with the regular rain hood and the special hood for the second child seat. The basket is nice (and the heaviest part of the bike- used to balance). I use it to store my groceries when I stop by the store on my way home- it can hold about half to three quarters of a hand-basket (with my two rain covers inside as well). The bike is really easy to switch. 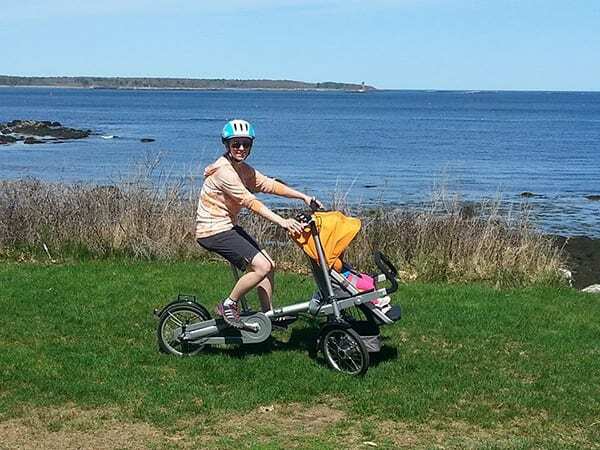 I hardly every do it because I have other strollers, and this is pretty heavy for a stroller, and also doesn’t turn well in stroller mode (but great in bike mode). I just keep it in bike mode in stores, and everyone exclaims over it. Lots of attention. It comes apart easily to go into a car. 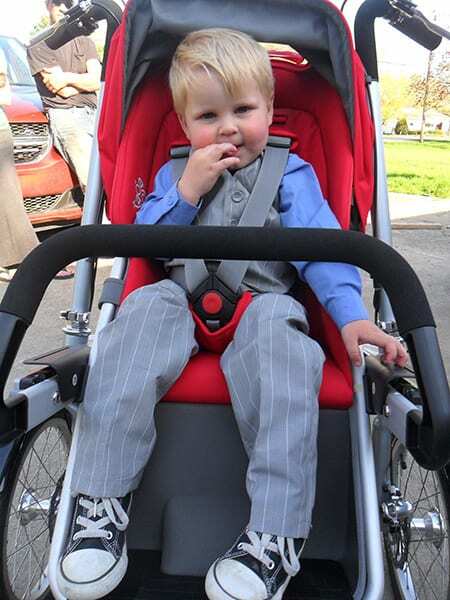 The seats of very comfortable for the kids, with good harness straps. 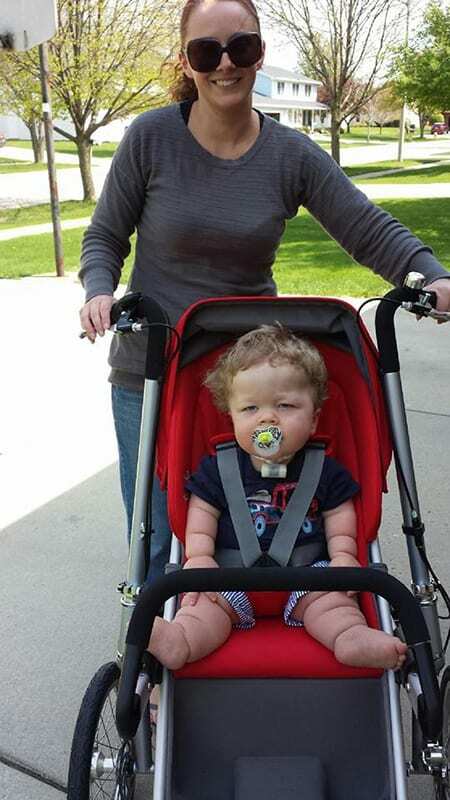 I do wish they had a sort of strap across the chest for both seats like they have in car seats. I would feel more secure with those. I have two seats, and the second one looks very small, but apparently can fit older children. Mine is currently eight months. I also wish that the straps were able to be longer, especially on the first seat. It’s very hard to buckle the straps on my two year old when she is wearing her bulky winter coat, and I want to use this when she is older and bigger too. The Kenda tires it comes with don’t hold up so well for me- I have had to buy new tires/tubes a few times, but I also go over lots of glass and sidewalk cracks, unfortunately. All in all, this is really an AMAZING product. The concept is fantastic and it really is flexible, quick, safe, and so so useful. I LOVE the Taga bike. 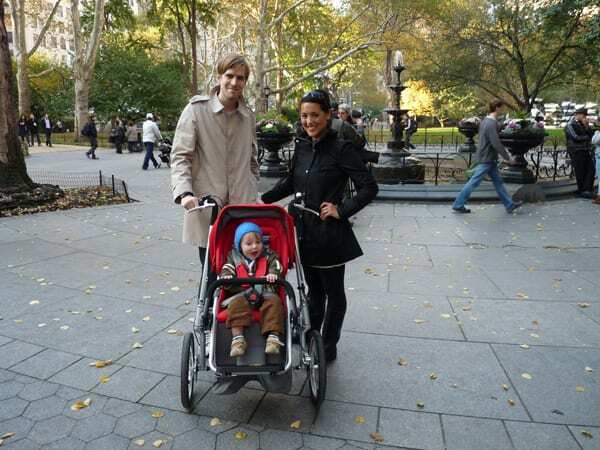 Trying out my Mother’s Day gift with Carolina at Central Park–I loved it!! And I will need the second seat very soon! We recently purchased a Taga and already adore it! My son and I are driving on it even food store and wherever they can! I would like to continue to observe the rule of the three-mile zone: no cars, only move Tag, if the distance between the point and purpose of our house is 3 miles or less. 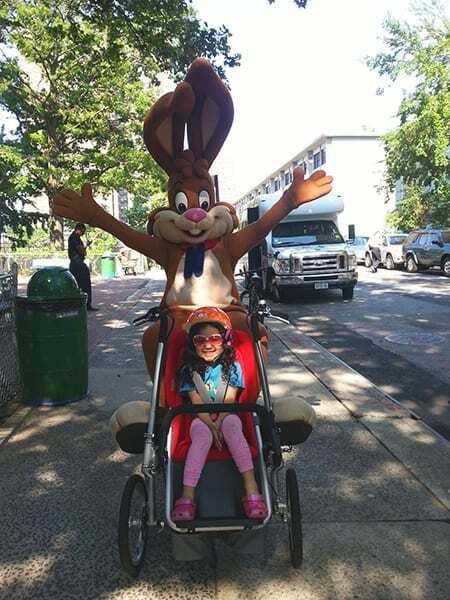 Nesquik Bunny couldn’t resist our Taga! I love my Taga! 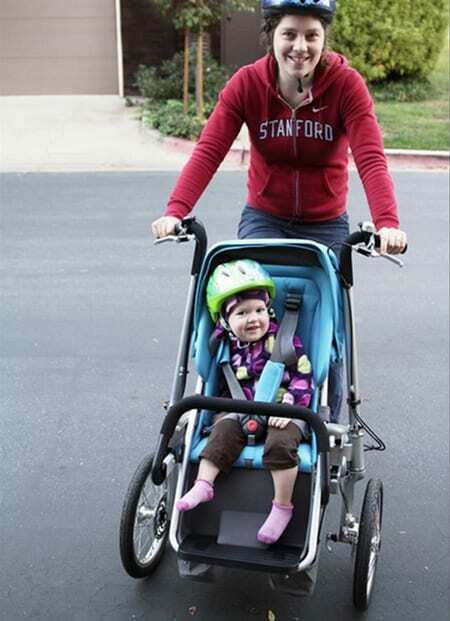 I bike my daughter to school in San Marino CA and my bike is a conversation starter with the other Moms- they want one! 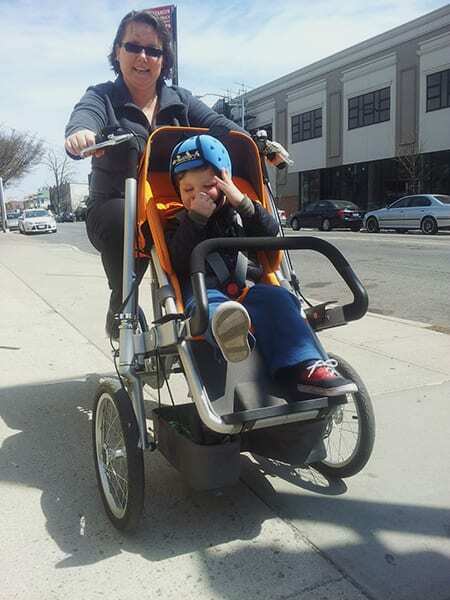 On Saturday April 12 we got to take our Taga out for spin. It was our first ride this year. 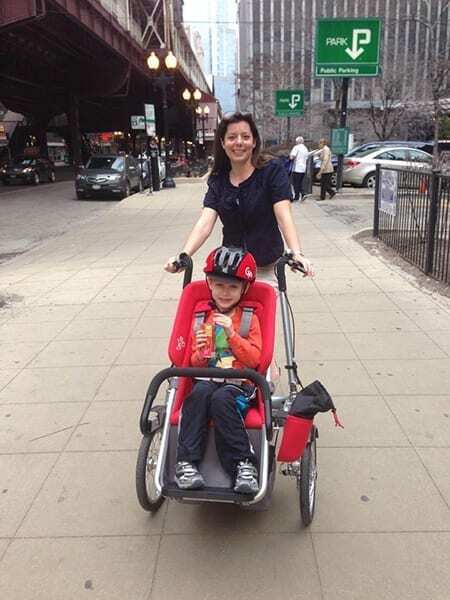 We live in downtown Chicago and it’s a very bike friendly city. This will be our 3rd season with it and our son just loves it. It is a brilliant bike! 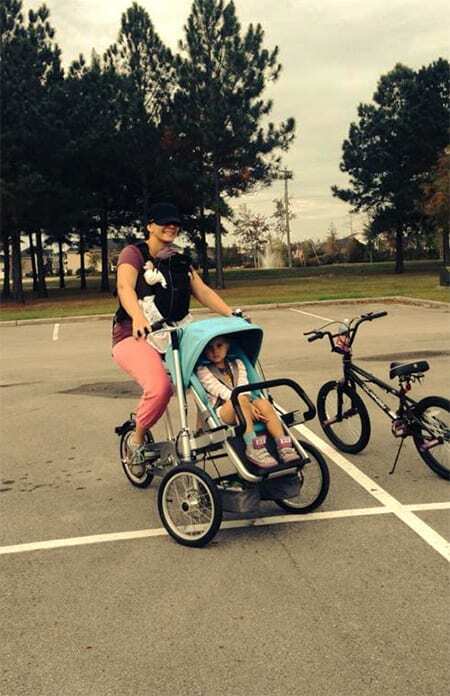 Seems a huge investment, but if you are a mom biker, it is worth every penny / cent. My daughter is just growing out of her seat, and learning how to bike. 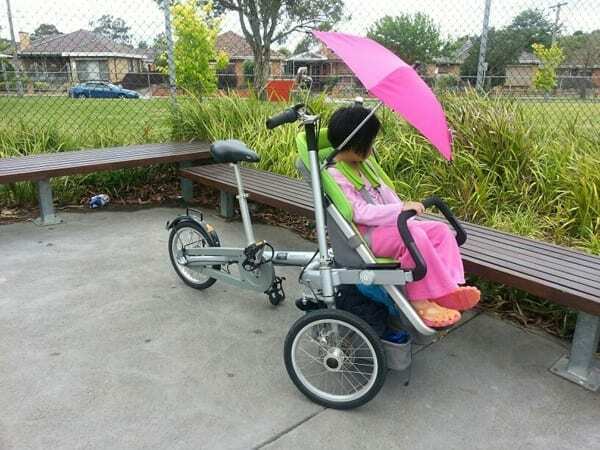 Recently purchased a Taga for my special needs daughter. 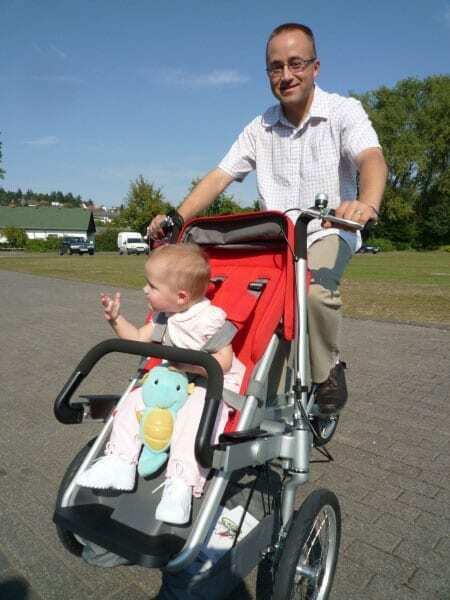 I am tall (182 cm) – we have also second seat and no problems with riding. Our Taga arrived today as well! Many, many thanks to Jeroen for delivering it at our doorstep, ready to use right away! I went to pick up my oldest son at the crÃ¨che this evening with it… he LOVED it! 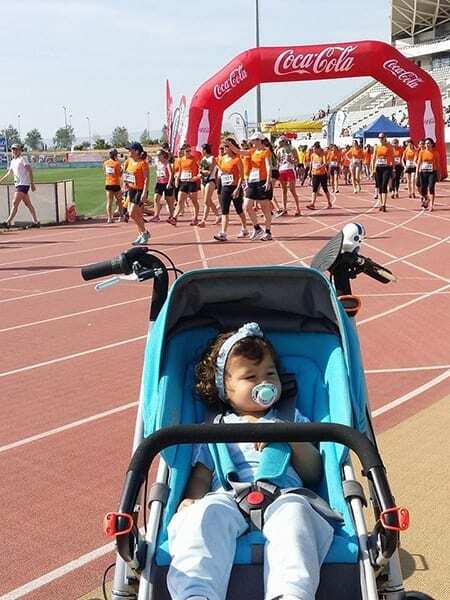 And what a great work-out for mom! 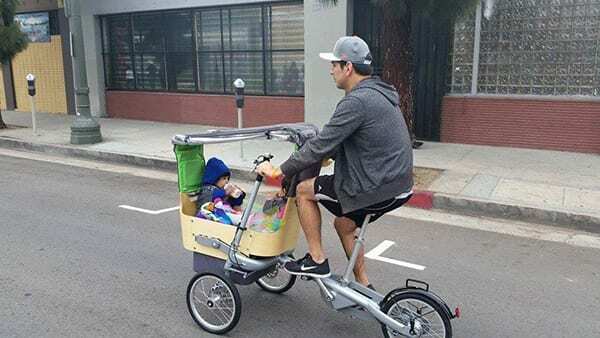 Riding our Taga in Downtown Los Angeles at a 5k family friendly marathon. Everybody loved our Taga. 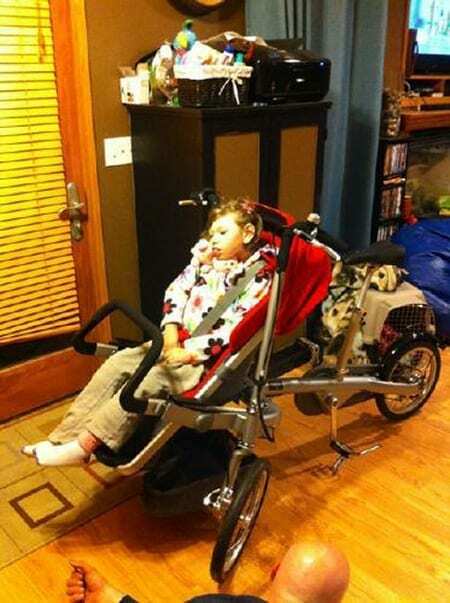 He isn’t alone…we also love our Taga bike! Taking advantage of the Shrove Tuesday weather!